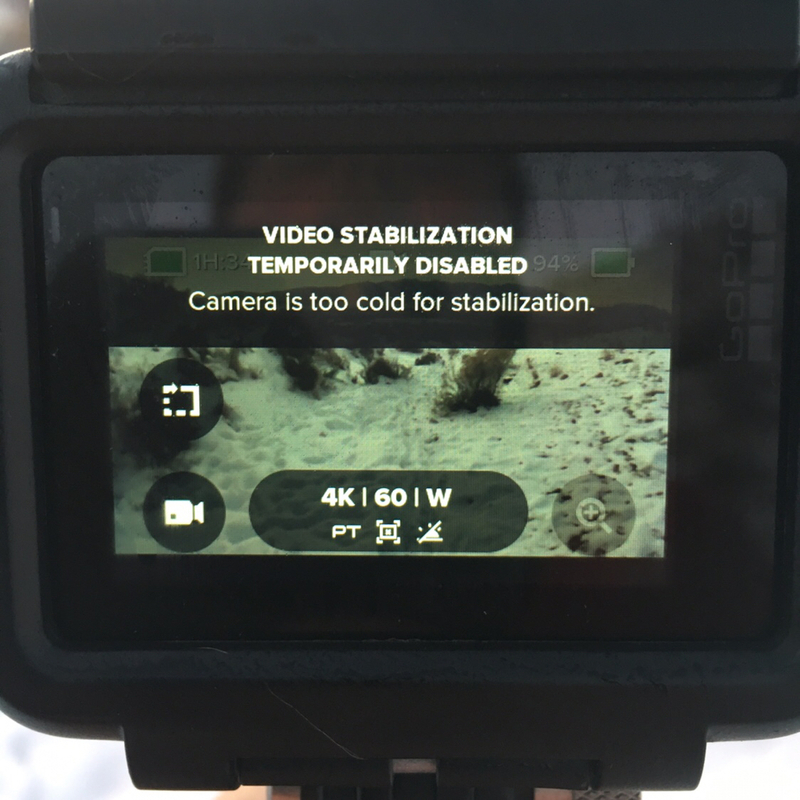 GoPro Forum, Classifieds and Support > GoPro Hero Cameras > Hero 7 Black/Silver/White > Too Cold? Fish and User like this. It was about 25 degrees out. Just taking a walk, Guess I can’t keep it on the outside of my camera bag. what a joke, Lol. that is funny how and I wonder ifyou have a hero 6 or hero 5. I bet the sucker got a water gyro inside that freezes it up ha ha ha what about the Iphone XS that is a double stabilizer. It's a Hero 7 Black. yes I know you have a h7 i thought I written if you also had, my mistake Lol. Last edited by Fish; 12-15-2018 at 06:49 AM. Interesting and good to know, thanx for posting! You should try it with an external battery pack connected. Would be interesting to see the results! stupid me is going to wait and see what it will say in the water to wet to operate controls switch to lock. perryft and User like this.